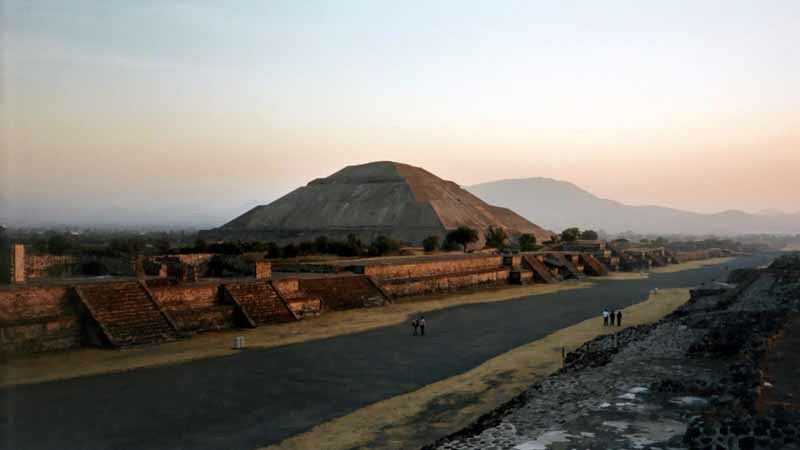 The best day trip from Mexico City is Teotihuacan, the remains of an ancient city that was the first great civilization of central Mexico. 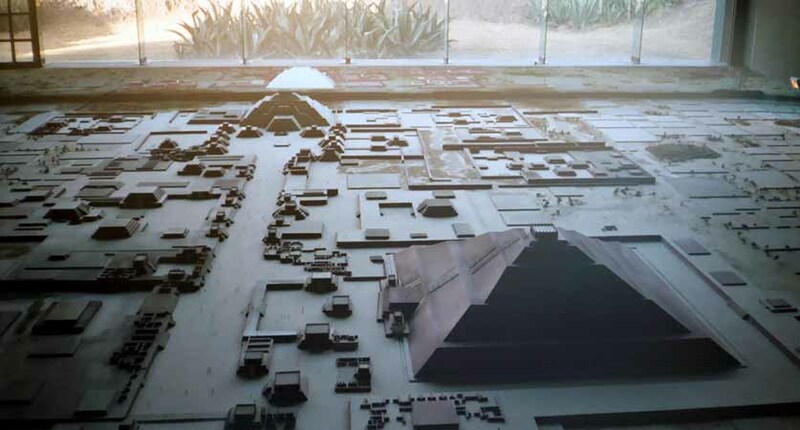 The building of the planned city probably began around 0 AD (or was that 0 BC?). 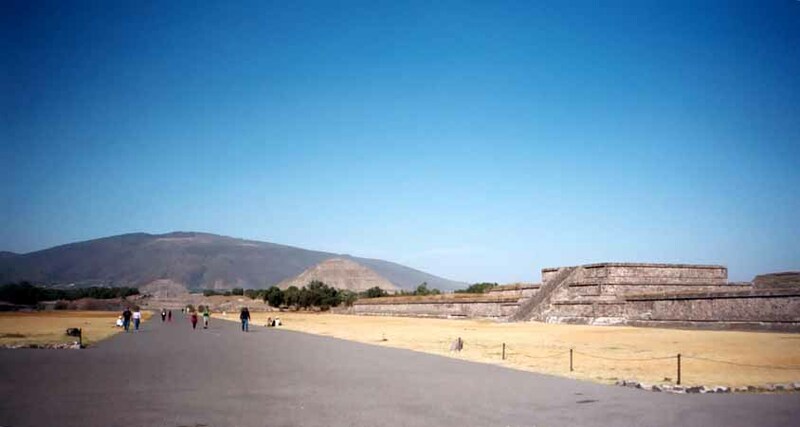 The city and civilization were at their greatest from 250 and 600 AD, and had an estimated population of 125,000. 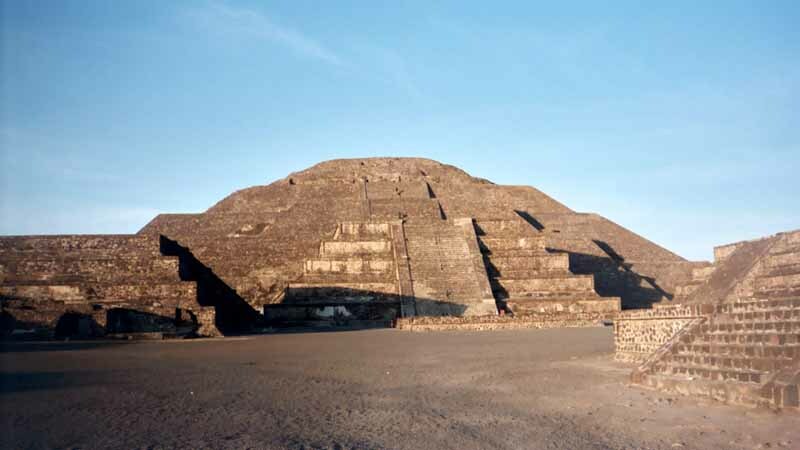 At its imperialistic peak it probably controlled the southern two thirds of Mexico, all of present Guatemala and Belize, and parts of Honduras and El Salvador. 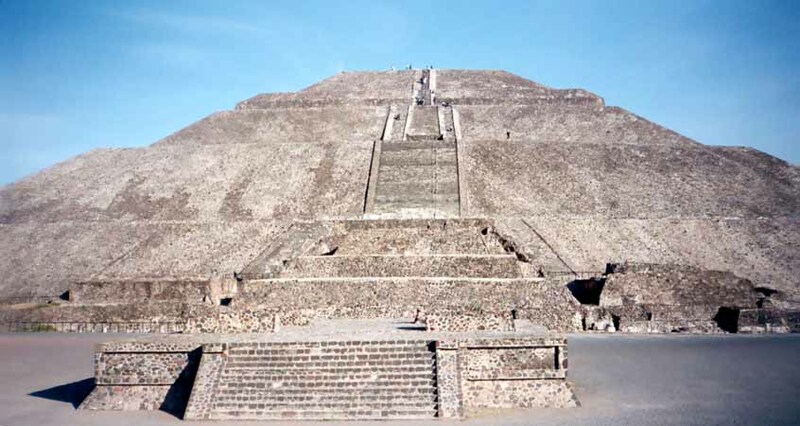 The civilization was weakened by unknown causes, environmental destruction and pressure from rival powers are popular hypotheses. 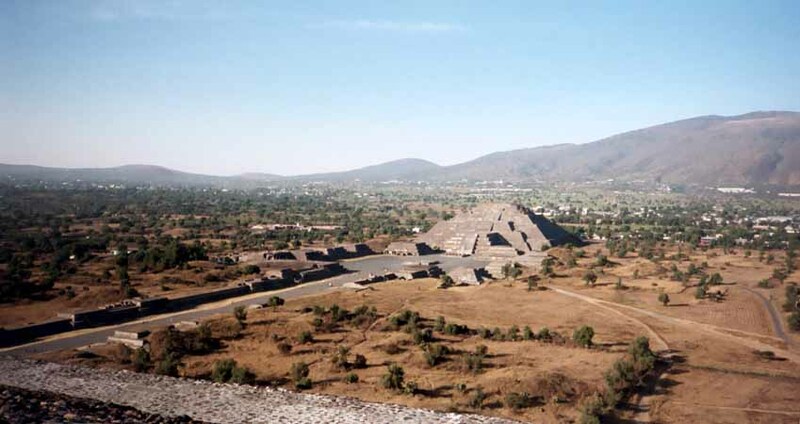 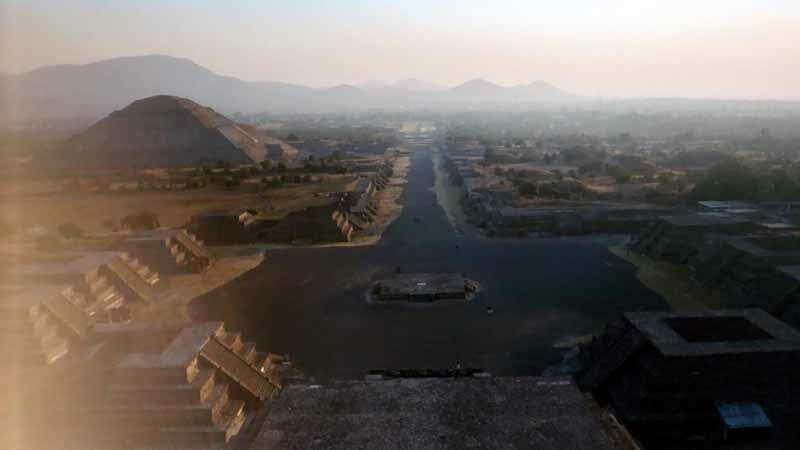 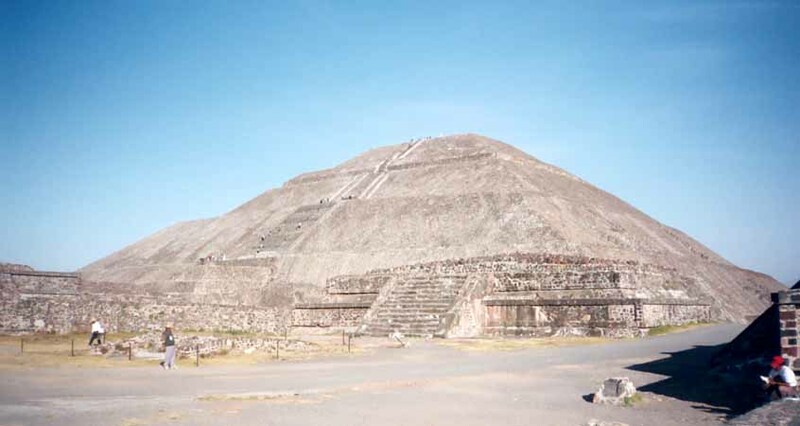 Teotihuacan was sacked, burned and abandoned in 700 AD. 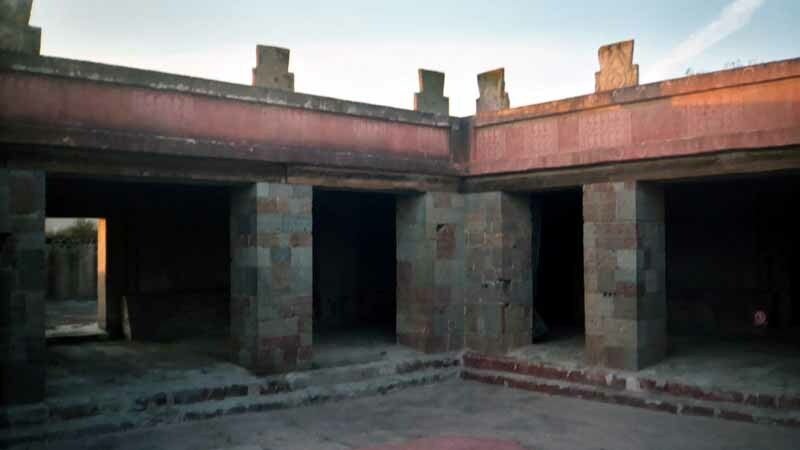 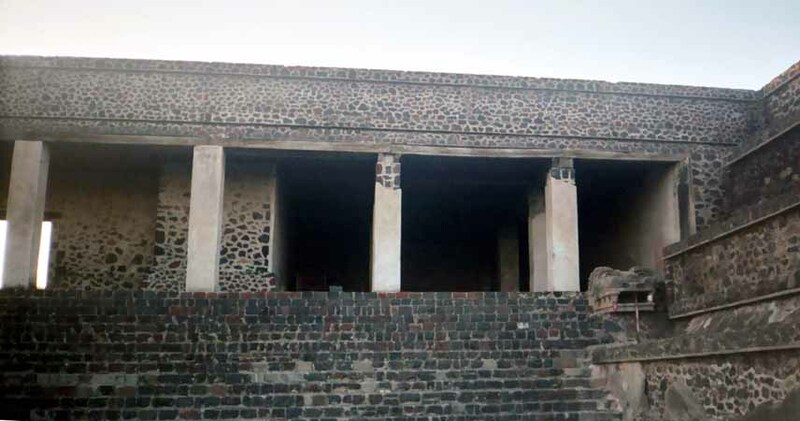 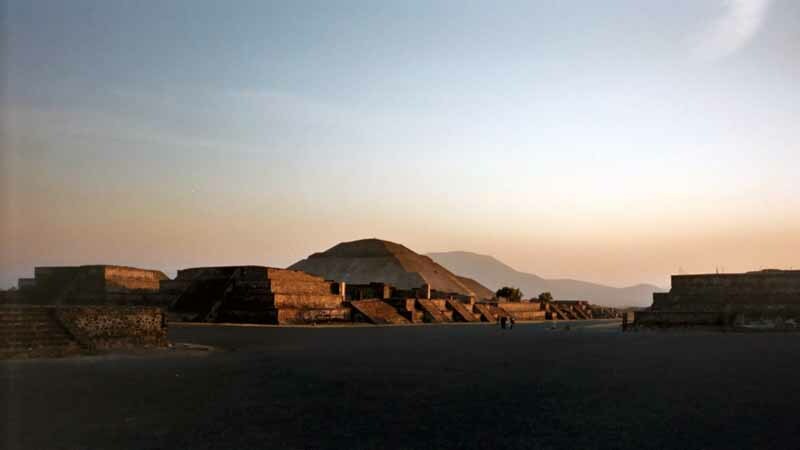 Its influence continued to be felt through its religions; many of the Teotihuacan deities were also worshipped by the Aztec, and Aztec rulers made pilgrimages to the city long after it was abandoned. 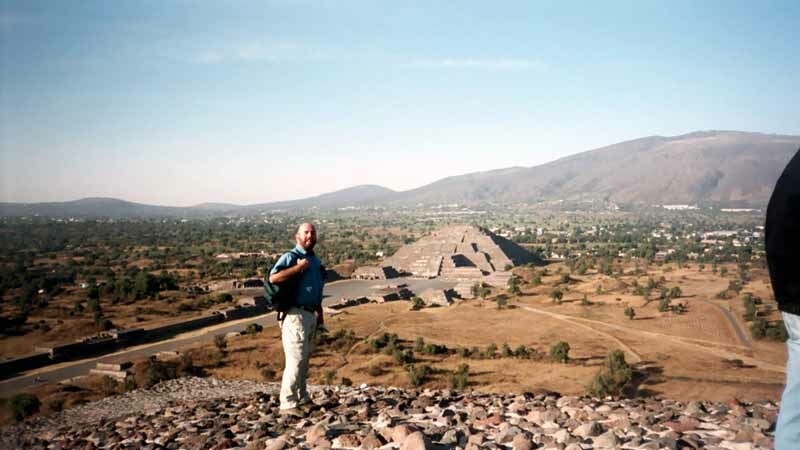 That's the guidebook summary. 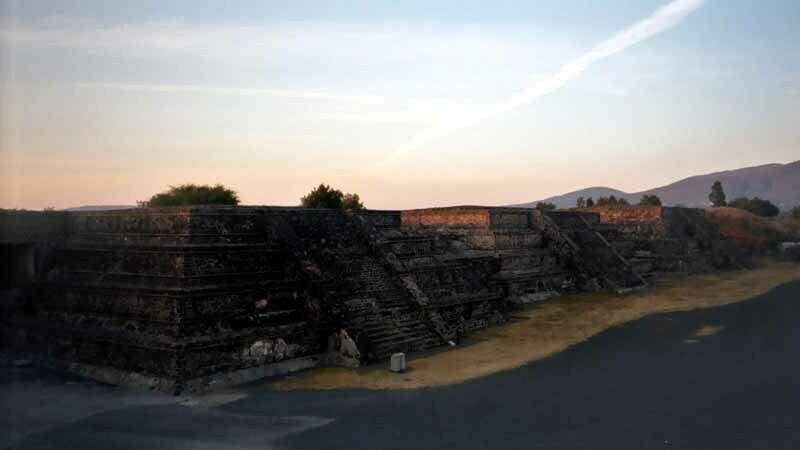 Some scenery shots of Teotihuacan taken around sunset.